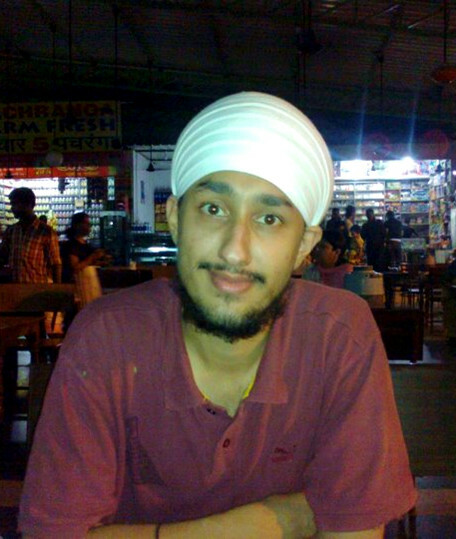 Surinder Singh Dhillon, The Spokeperson of Sheffield Gurdwara. “Everyone is welcome to the Gurdwara in spite of religion and culture,” said Surinder Singh Dhillon, the spokesperson for Shri Guru Gobind Singh Ji Gurdwara. 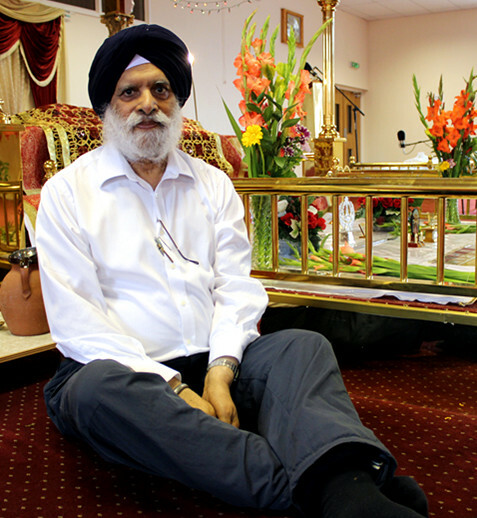 Surinder, who is also the Sikh Chaplain at the University of Sheffield, often deals with outsiders who seek information about the Gurdwara and Sikhism. The Gurdwara is open to everyone because in Sikhism everyone is equal. According to Surinder, Hindu students go to the Gurdwara as well because Hindu temples are not open regularly. International students who come to a foreign country are often not used to a strange environment with strange culture. They can easily feel like a stranger in the society whenever they couldn’t fit in. Hereby, Gurdwara helps them to create a sense of belonging, makes them feel more at home through social activities. “Practising religion gives students “peace”. In the Gurdwara, they might feel more at home, and helps them to settle down in the society,” he said. Every Wednesday evening, young students often gather for Nam simran (meditation), scripture reading and some other physical activities such as football, cricket and so on. Other than going for prayers, students are often involved in volunteering works as well, such as helping to prepare and serve food to everyone on Sunday morning. There is a Sikh Youth Group based in University of Sheffield, where Sikh students from Sheffield Hallam University are welcome to join as well. For Gian Singh Dadiala, a 23-year-old MSc. Logistics and supply chain management student, religion is an integral part of his life. “Religion guides you towards the path of being a good human,” he said. During hectic exam periods and stressful times, Gian conducts meditation to control his mind and focus on his studies. “I would say that anyone could survive without religion. Yet, I think one could easily stray in his or her life without the guidance of religious, as if religion leads us the direction on where we should heading,” said Gian. Jaskaren Kohli, 21, Graduated biochemistry student (Nottingham University) doesn’t takes religion as important part in his life. He might not as faithful as others do because he was born in UK. Jaskaren said that others might be the same as well because they have more freedom in UK. “I don’t seek for God’s helps like most of the students do, because I insisted that hard work and determination will solve everything for me,” he said. 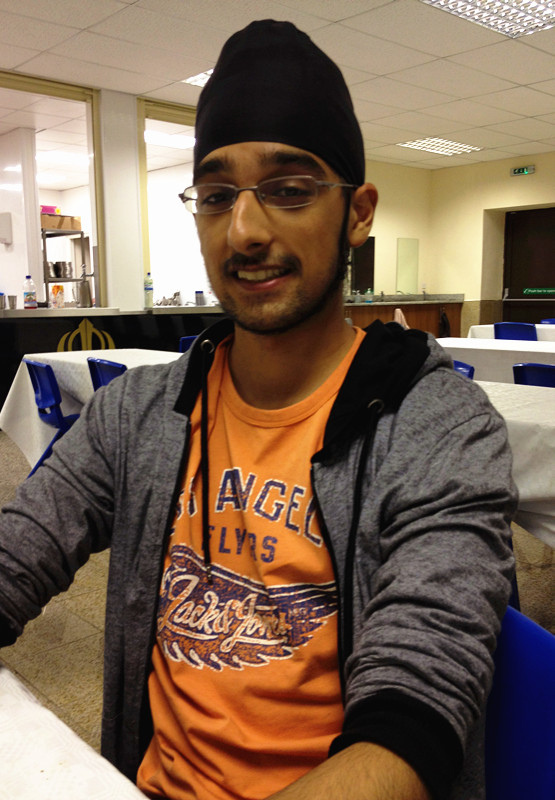 This entry was posted in Chaplain, Culture, Events, Group, Gurdwara, Hindu, International Students, Lecturers, Photo, Sheffield Hallam University, Sikh, Spokeperson, Temple, UK, Uncategorized, Video, Worship and tagged Activities, Advice, Chaplaincy, Culture, Hindu, International Students, Scripting, Sheffield Hallam University, Sheffield University, Sikh temple, Temple, UK, Worship. Bookmark the permalink.